This season included some personnel changes. Back this year were Lee Bridges, Karnell Vickers, and Allen Woodard. Subbing for Stevan Dixon and Ed Rhyne on the 4x100 relay, were Lee Bridges and Gavin Thorne. For Andrew Junas on the 4x400 relay, it was Mark Gomes. Some of the faces may have changed, but the results were just as good as last year and, in some cases, even better. The men grabbed two silvers in the 100m dash and repeated with gold in both relays, grabbing a world record in the process! For detailed meet results, click here. 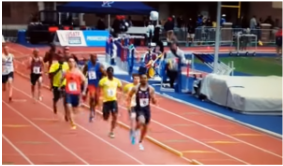 USA Masters is a group of track athletes including Lee Bridges, Stevan Dixon, Andrew Junas, Ed Rhyne Jr., Karnell Vickers, and Allen Woodard. 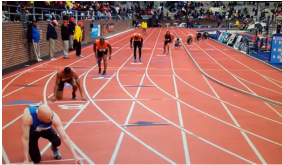 They decided it would be fun to compete at the 2016 Penn Relays, so they formed a 4x400 relay. Later Stevan and Karnell decided to participate in the 100m dash. The team also added a 4x100m relay. The team did an amazing job, sweeping the relays, long dominated by the likes of Southwest Sprinters and Maryland Masters. They also shined in the individual events, placing in the top three of the 100m dash. 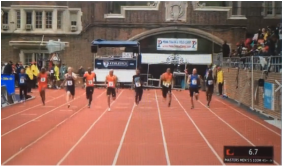 ​Some of the guys will reunite to compete at the USATF Masters Outdoor Championships in July 2016. They also plan on bringing the entire team back for the 2017 edition of the Penn Relays. ​Click athlete to see rankings.